Md Masum Billah is a Professional freelancer in the field of SEO, SMM & Internet Marketing. A Expert blogger, Videos & Youtube Marketer in Bangladesh. 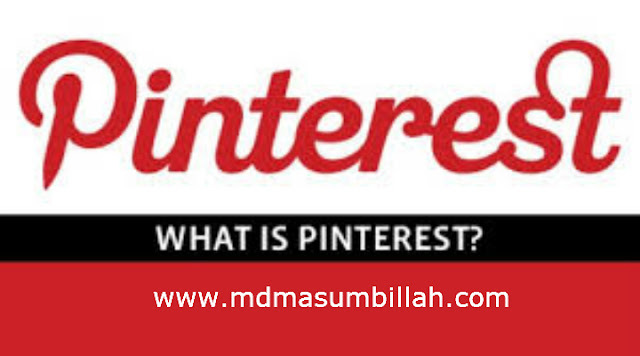 Pinterest is one of the most growing idea sharing and social networking sites basically based on images. This article will try to highlight on different Pinterest marketing tips that will help you to grow your business efficiently. In this article, we will basically try to focus on how to use Pinterest and how to use Pinterest for business. Before starting the Pinterest marketing, you have to learn about what is Pinterest and how it actually works. This is not a big deal though if you are accustomed to the other social networking sites regularly. Because it can be said that Pinterest marketing idea is almost same as other Social Media Marketing. As an image-centric social network, the majority of the visitors want to behold some mesmerizing images from the business organizations that may interest both the current and the future customers to buy the product. There is survey concludes that like other social networking, Pinterest has a higher propensity to customer circulation rate because of its attractive feature. 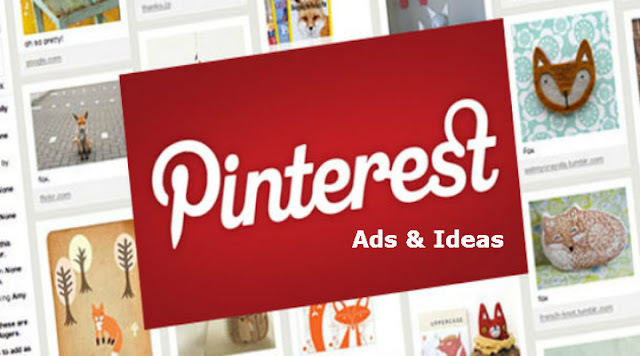 Pinterest are crucially important for Pinterest ads. Cause many of the visitors comes to this sites to get a new idea about product and new usage of the product. 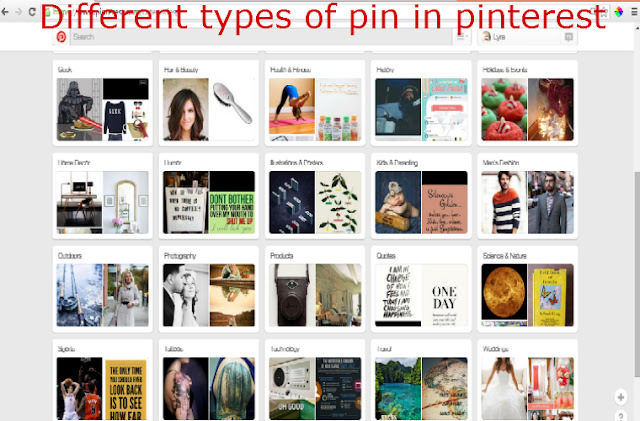 Pinning ideas are crucially important for generating ideas for Pinterest. For updating the Pinterest board, use websites personal computer. If your websites are not verified by pinterest, get the verification from the Pinterest.it gives you benefits like more exposure of your websites and also gives reliability to the customers. To drive more traffic for Pinterest ideas, some specific strategies have to be followed. Some of the strategies could be very different from the competitors using Pinterest for the business organization. The names and descriptions of your Pinterest boards are important. Not only do they tell users exactly what they can expect, they also assist users in finding your content. After knowing how to pin in pinterest you also gave to look into the section like optimization of the pinterest board. There are different types of pin available in pinterest. Now you choose your pinning styles from six types of pinning styles. For example article pin help you to pin your article with the images on the other hand product pin helps you to promote the product. For any social media marketing, the first and foremost targets are to intensify the engagement. 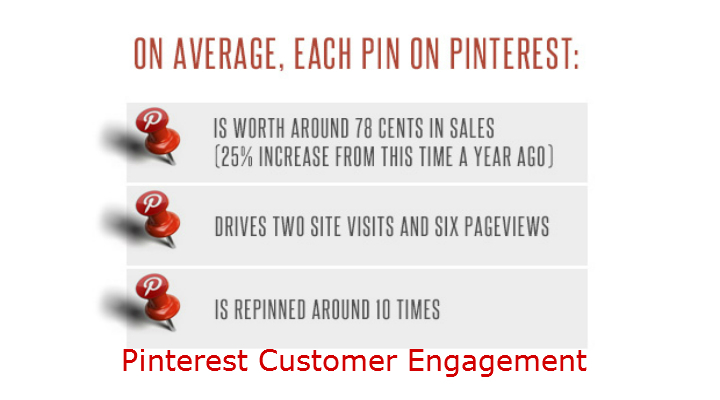 So the first priorities of the Pinterest ideas have to be increasing the engagement of the customers. The more customers will engage the more exposure your content will have and the more viral the content will be. Another thing has a crucial impact on the customer engagement is that installing of the pin it button. By installation of the pin it button help you grow up more traffic on your websites. Your website visitors and readers can pin your content for you, and their followers will see the activity on Pinterest as well, thereby increasing the impressions (and hopefully clicks) your content receives. 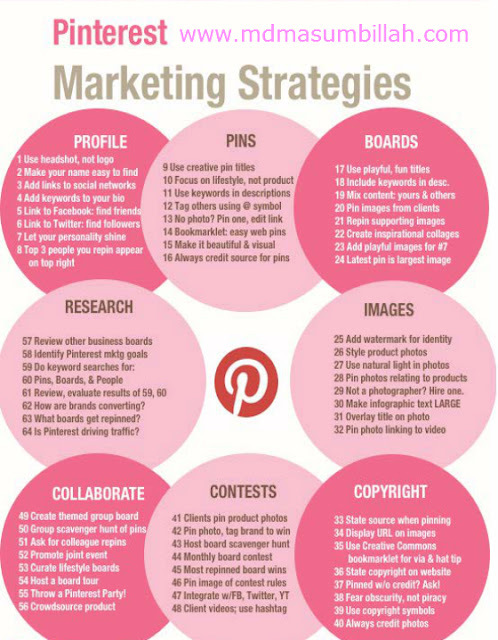 So following these tips for pinterest marketing will help you to grow your business and attract more customers shortest time.